Enter your email address, and we'll find the username that we have on file for your email address. 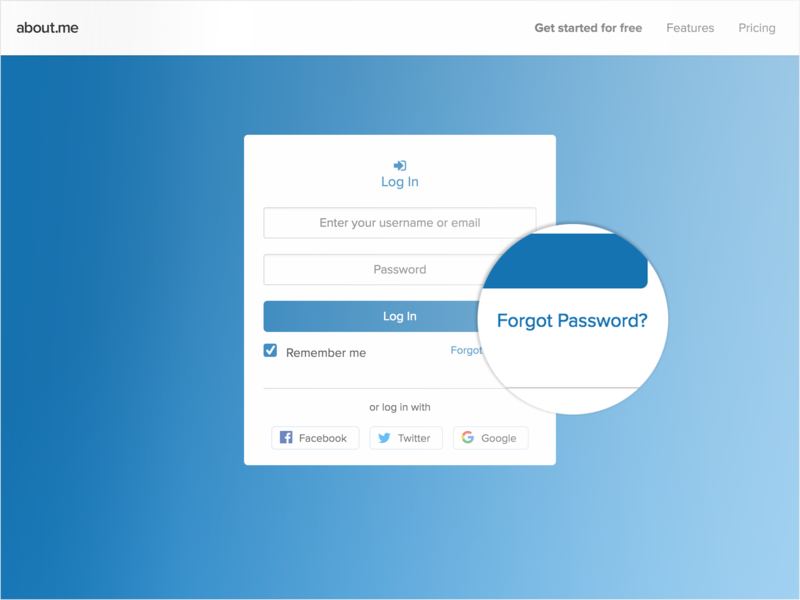 *Pro users: Even if you've purchased a custom domain or have connected a domain you already own, your username to log in to your about.me page will always be the username you created the account with. Want a different link for your about.me page? Add a custom domain by going Pro .